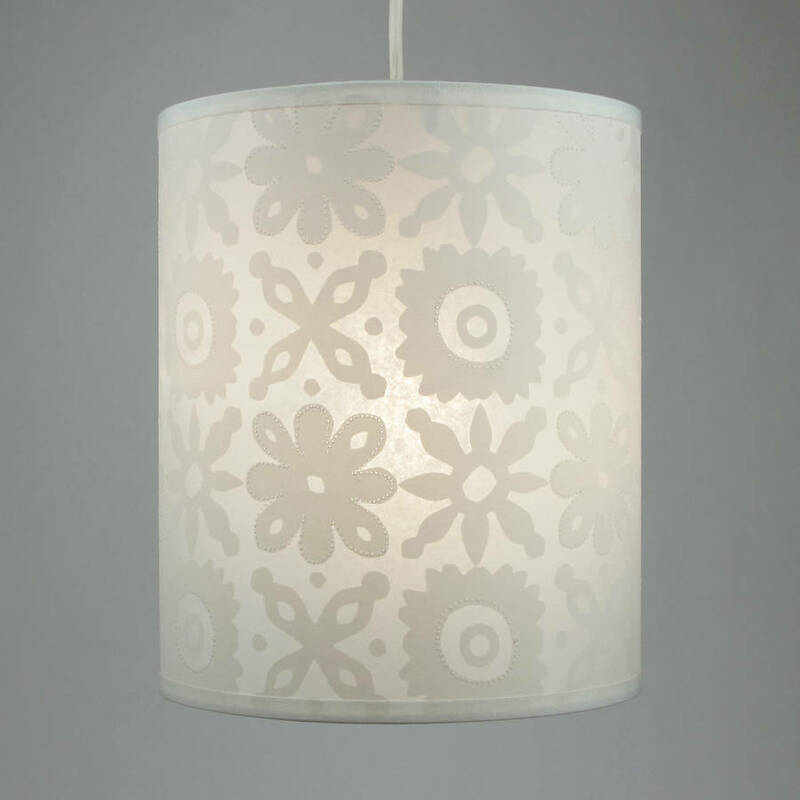 This pretty lampshade makes a lovely gift for girls of any age! Ideal for small to medium sized bedrooms or to brighten up the hallway. Screen printed by hand with creamy opaque ink. The block print inspired pattern creates a lovely contrast once lit. 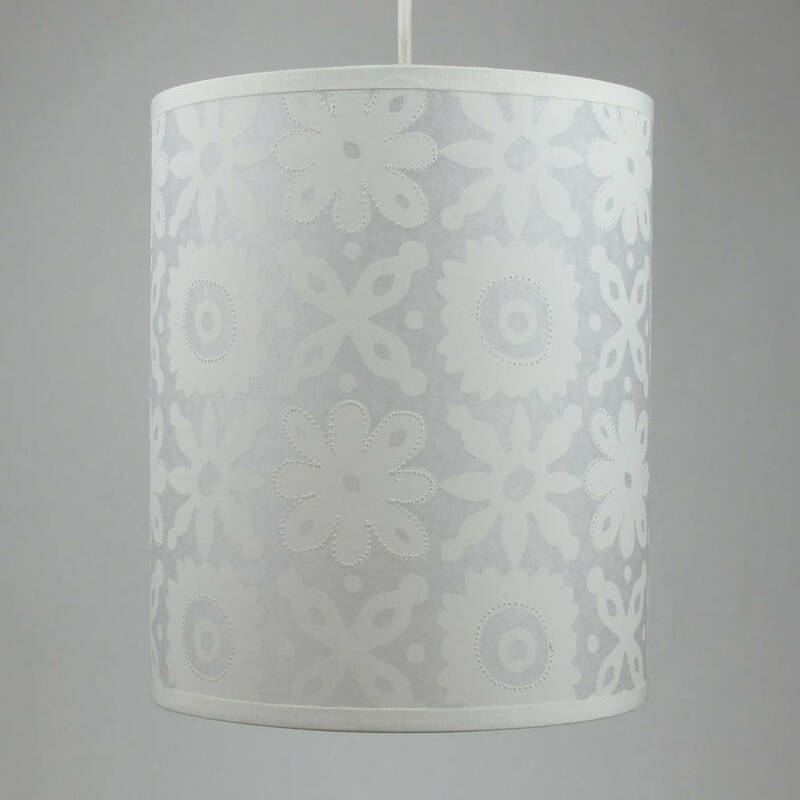 Tiny dots of machine stitched detail add a touch of sparkle and make each pendant lampshade become something quite special and unique. The neutral palette easily fits in to many colour schemes and enhances a room with timeless simplicity. 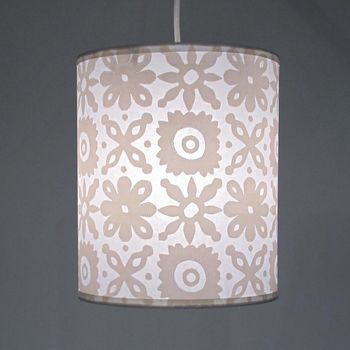 Shown here as a pendant shade but can also be used for a table lamp as the pattern works both ways. 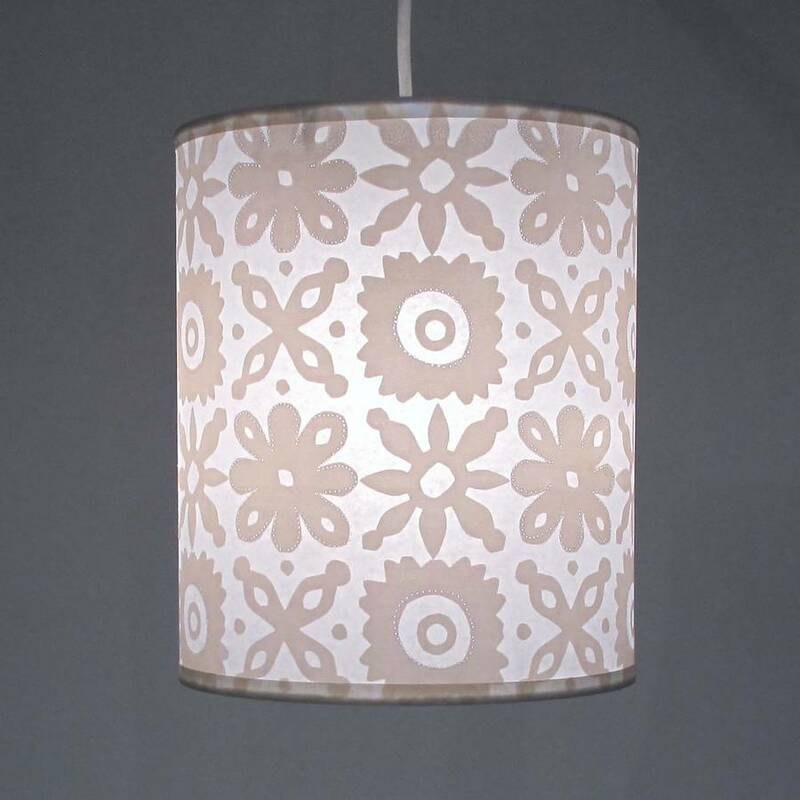 The lampshade has a dual fitting and sits 3cm in from the top of the shade - keep the reducer ring in place to fit standard UK pendants or remove it to fit the larger continental size. Cushions are also available in this cut flower design in a variety of colour choices. See related listings. Comes wrapped in cellophane and well packed in a sturdy box using eco friendly packaging. Diameter: 20cm H: 24.5cm / 8" x 9.75"
I always recommend low energy bulbs with my shades to prolong their life and keep the bills down! Fits all UK standard and continental pendant light fittings.